Watch the 2019 Tacitus Lecture. Download the 2019 Tacitus Lecture. Born in Paris in 1956, Mme Lagarde completed high school in Le Havre and attended Holton Arms School in Bethesda (Maryland, USA). She then graduated from law school at University Paris X, and obtained a Master’s degree from the Political Science Institute in Aix-en-Provence. After being admitted as a lawyer to the Paris Bar, Mme Lagarde joined the international law firm of Baker & McKenzie as an associate, specialising in Labour, Anti-trust and Mergers & Acquisitions. A member of the Executive Committee of the firm in 1995, she became the Chairman of the Global Executive Committee of Baker & McKenzie in 1999, and subsequently Chairman of the Global Strategic Committee in 2004. She joined the French government in June 2005 as Minister for Foreign Trade. After a brief stint as Minister for Agriculture and Fisheries, in June 2007 she became the first woman to hold the post of Finance and Economy Minister of a G-7 country. From July to December 2008, she also chaired the ECOFIN Council, which brings together Economics and Finance Ministers of the European Union, and helped foster international policies relating to financial supervision, regulation and strengthening global economic governance. 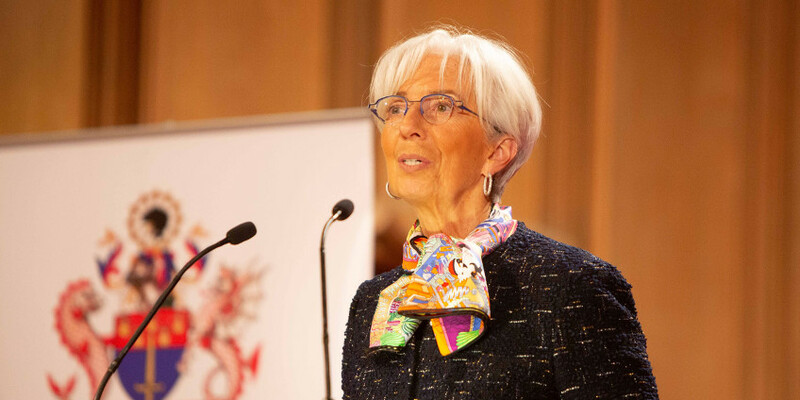 As Chairman of the G-20 when France took over its presidency for the year 2011, she set in motion a wide-ranging work agenda on the reform of the international monetary system. On 5 July 2011, Mme Lagarde became the eleventh Managing Director of the IMF, and the first woman to hold that position. On 19 February 2016, the IMF Executive Board selected her to serve as IMF Managing Director for a second five-year term starting on 5 July 2016. She was named Officier in the Légion d’honneur in April 2012. Mme Lagarde is a former member of the French national team for synchronised swimming and the mother of two sons. We were delighted that Commercial Education Trust once again kindly offered to help fund the Tacitus Lecture. CET does excellent work in helping students and adults improve their understanding of commercial life and we are so pleased that they have remained involved with Tacitus.